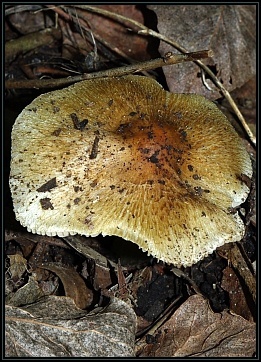 Description: Scattered, medium sized agarics, terrestrial under broadleaf trees. 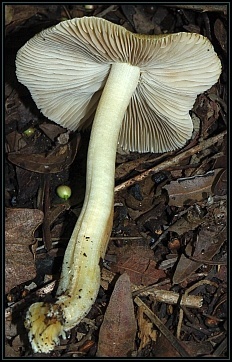 Pileus: Convex to flat with central umbo, pale yellowish to yellowish brown, darkening towards the centre, fibrillose, splitting near margin, flesh relatively tough; diameter: 48-60mm. 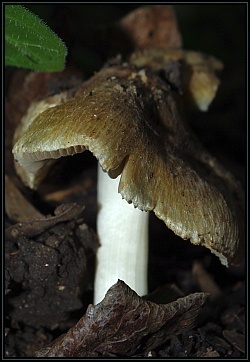 Stipe: Whitish, straight, hollow centrally, fibrous, flesh white but darkens slightly on cutting; 85mm x 10mm. 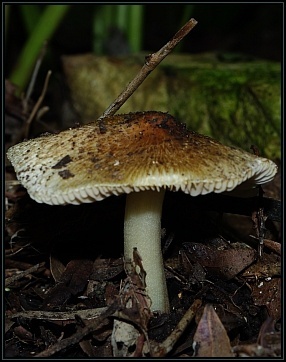 Gills: Close to crowded, emarginate, initially cream coloured changing to brown. 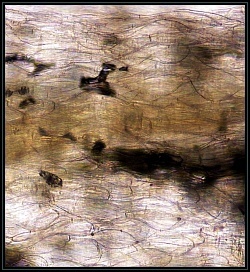 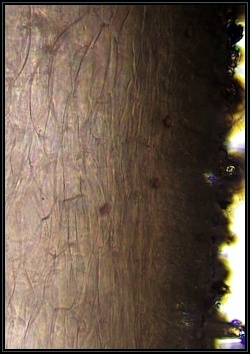 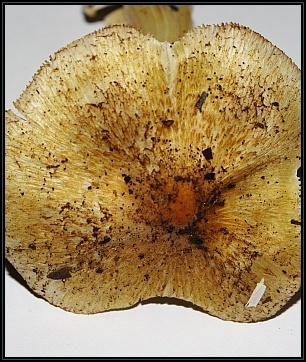 Pileipellis: Filamentous, with a layer of inflated hyphae. 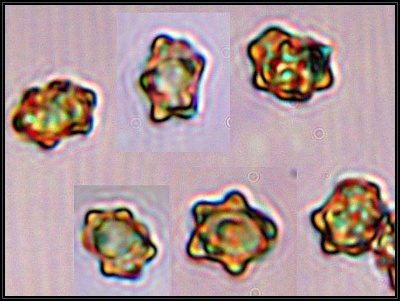 Cheilocystidia: Abundant, lanceolate with apical crystal deposits. 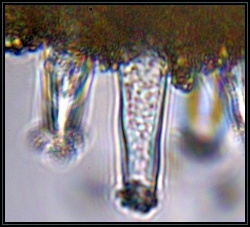 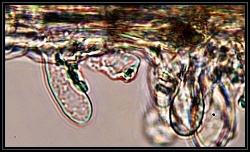 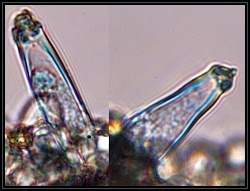 Pleurocystidia: Present, lanceolate with apical crystal deposits.